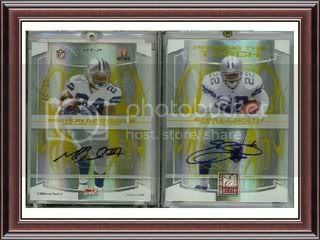 Title says it all - looking for the base RCs, die cuts, autos, and plates of Dallas Clark (2003), Fred Russell (2004), Chad Greenway (2006), an Abdul Hodge (2006). I will pay handsomely for any you may have - multiples welcomed. Always looking for nice Iowa Hawkeyes and Minnesota Twins cards. I have an abdul hodge contenders auto. New year, old hunt. Anyone ever come across any of these? Help this fine gentleman out! You're a great American, Mike! I pay stupid prices for these, are there any out there? game used Dallas Clark needed ?